Many people think that bacteria is dirty, and they should do whatever they can to keep it limited or even eliminated from their homes and septic systems. The problem is, They are totally wrong. Your septic system Requires bacteria to work right. We are going to go over just how a septic system works, and why bacteria plays such an important role. The purpose of this advice article? To encourage readers not to flush bleach or put it down drains, along with anti bacterial soaps, shampoos, etc, that can all kill the VITAL bacteria in your septic system. So the first thing to realize is how the septic system actually works. Once matter is sent down a drain or toilet, it goes into your septic tank. In the tank, there is solid material settled down on the bottom, and several feet of liquid on top of that, along with an inch or two of floating scum. A healthy septic tank has MOSTLY liquid in it, as the healthy supply of bacteria in the tank is breaking down the solid material and TURNING it into liquid. 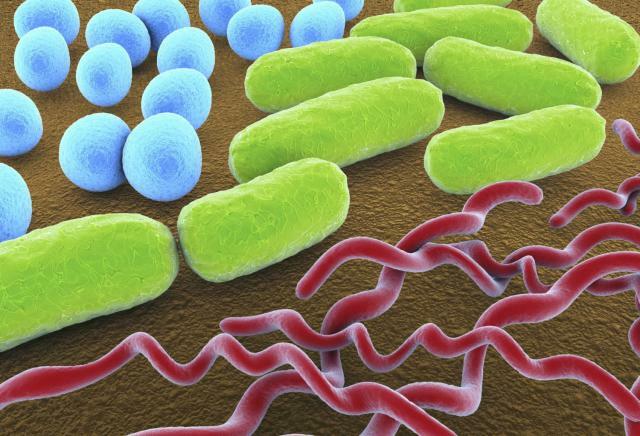 Without bacteria, the solid material will not be able to be turned into liquid. Also, things can be made worse, if you’re flushing no-no’s down your toilet. Now, why is it important that the solid material is turned into liquid? It’s because of the next step. There is a connection between your septic tank and your drainage area. A tube that’s about 3/4 of the way up your septic tank allows the liquid in it, to flow out into your drainage area. The drainage area is a series of tubes in the soil with little holes in them, which allow the liquid to make its way out into your soil. As the liquid makes it out into this drain field, it is naturally digested by the soil, and the level of liquid in the septic tank is lowered so that it can remain steady as more stuff is flushed into it from your toilets and drains. OK, so what happens when there is not enough bacteria in the tank? Good question. The solid material that is at the bottom of the tank is NOT digested into liquid. That means that it starts to accumulate and can eventually block the pipe that leads into the drain field. Or it can actually flow out into that pipe and clog the holes in your drain field pipes. In either case, you are going to end up with a very full septic tank, and usually flooding in your yard, or backing up into the house through drains. When that starts to happen, people usually freak out. There’s no need though, once you realize the reason it’s happening. You can just add bacteria to your septic system by flushing special packets down your toilet which will restore the bacteria in the system, and drain field, allowing solids to once again break down and turn to liquid. How this happens is as follows. Once the bacterial additive is in your septic tank, it immediately goes to work on digesting the solids in the tank… they then turn to liquid. Also, the bacteria begins to seep out into the drain field, where it can start to liquify any solids that might be in those tubes blocking the natural filtration of the water into the soil. Typically, a septic tank that’s failing can expect to see some improvement with the addition of good bacteria within a couple of weeks. One very smart thing you can do to keep your septic system flowing nicely is to add a monthly maintenance “dose” of bacteria. We know you can’t completely eliminate bacteria-killing things from going down drains or toilets. So, adding a dose of bacteria each month to the system can jump start it again, and make sure that your system never goes TOTALLY free of bacteria, and starts to have the issues we discussed earlier. I hope that this advice article helps you understand the importance of bacteria in your septic system, and also pointed out that bacteria can be one of the fastest and easiest ways to restore a septic system that is failing. Many people make the mistake of running straight to pumping out their system when it fails, and totally ignore the bacterial aspect. Pumping will solve the problem short term, but as soon as the solids build up again (if not digested by bacteria) you will be right back in the same situation.